Are you an honor student who is still unsure of your readiness to take UPCAT? Or an average student hoping to pass the exam despite your mediocre high school grades? Whatever the case, rest assured that U.P. provides equal chances to all students. Who cares if you didn’t perform as well as you had hoped in high school? At this point, you can still redeem yourself by giving your best shot in UPCAT. And it all starts with having a good, reliable UPCAT reviewer to improve your test-taking skills. 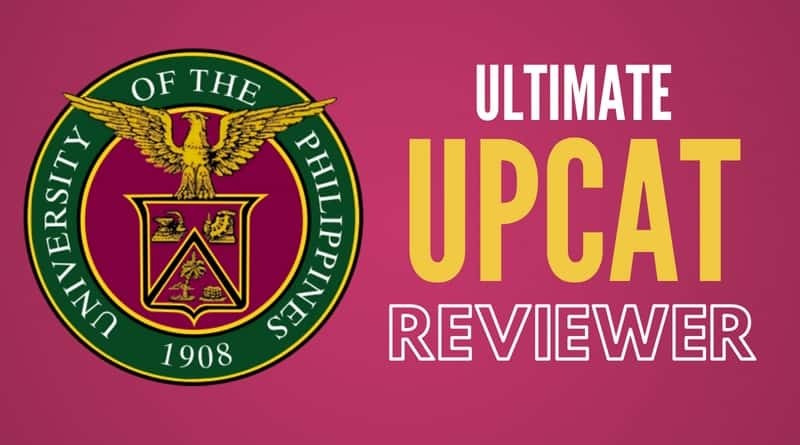 Why UPCAT reviewer is better than traditional review centers. How to use this UPCAT reviewer. UPCAT Math Review Tips and Tricks. UPCAT Science Review Tips and Tricks. UPCAT Language Proficiency Tips and Tricks. UPCAT Reading Comprehension Tips and Tricks. Aside from hefty enrollment fees, review centers often promise more than they deliver. Students have different weaknesses or subject areas they need to focus more time on. Unfortunately, most review centers are driven by profit so they’re more concerned about filling as many seats as possible than fulfilling each student’s individual needs. 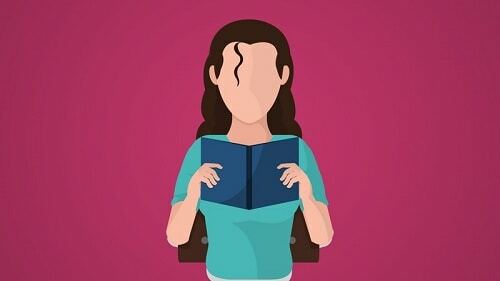 In contrast, studying at your own pace allows you to choose the areas to concentrate on. And the more UPCAT practice tests you take, the better you become in choosing the right answer no matter how difficult the question is. A lot of UPCAT passers aced the exam without relying on review centers. And if you’re going to ask them today, they will all agree that UPCAT pales in comparison to the college exams waiting for you in U.P. Therefore, develop the discipline and self-reliance as early as now by reviewing on your own. There will be no review centers to help you out once you make it to U.P. To improve your chances of passing the UPCAT, you need not just a solid foundation in high school but familiarity with the difficulty of the exam. The latter can be achieved by taking time-pressured exams with almost the same level of difficulty as UPCAT. Remember, when it comes to taking tests, repetition is the mother of skill. As a matter of fact, studies from the Journal of Experimental Psychology and Psychological Science give credence to the phenomenon called the “testing effect” which explains that repeated testing enhances learning and long-term retention. This UPCAT reviewer is driven by the same research-backed phenomenon. Each section features different subtopics that might appear in the actual UPCAT as well as free practice tests and answer keys to test your knowledge. Consider these practice tests as part of the diagnostic exam, the result of which can be used to find out your weakest areas and guide you in creating your own study plan. Once you’ve completed your initial review, you can then take the mock exam for each subtest to measure how prepared you are and to spot any weak areas you might have missed. Each mock exam e-book also contains additional tips and tricks to help you tackle the hurdles unique for each subtest. a. Arithmetic and Number Sense. Focus on the basics. Advanced math topics like calculus are nice to learn but don’t expect them to appear in the UPCAT. Students with a good grasp of the fundamental math formulas and principles can handle even the most complex math problems. Trigonometry questions may appear but in only a few items. Review trigonometric ratios and basic applications. Since calculators will not be allowed on the day of the exam, make sure you know how to compute by hand or through mental math techniques. Brush up on the multiplication table. Practice solving long division problems. You can also download a PDF copy of Speed Math for Kids if you’re still struggling with basic calculations. Supplement your math review with free YouTube tutorials. Channels like PatrickJMT provide clear, easy-to-follow math lessons you might have missed in school. Master solving math problems involving fractions. Learn how to do the four basic operations on similar and dissimilar fractions as well as how to express your answers in lowest terms. Answer as many practice tests as possible. You may not be able to cover every single math topic on your review but you’ll develop problem-solving skills that are essential in passing UPCAT. Besides, you can remember math formulas better with repeated testing/application than with rote memorization. When reviewing for UPCAT, internalize, don’t memorize. Understand the math behind every formula. If you just memorize math formulas, you’ll fall victim to formula blindness, a phenomenon wherein students fail to solve a problem because they assume the question is asking for a specific formula when in fact it requires something else. To prevent this, review how math formulas are derived so you won’t be misled to use a formula in a problem that deceptively asks for another similar formula. 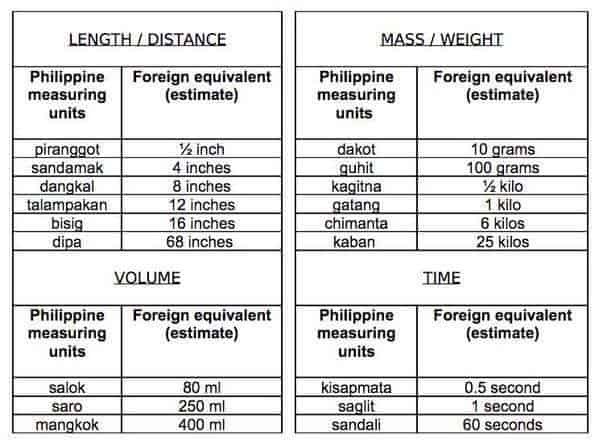 Familiarize yourself with the Filipino translations of common math terms, shapes, and measuring units (see table below). Questions in Filipino may appear in all subtests not just in Language Proficiency and Reading Comprehension. c. Earth Science and Astronomy. Download or create your own flashcards to help you remember key terms, concepts, and formulas. 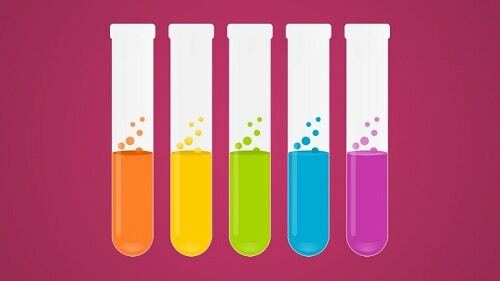 As with the math subtest, don’t just rely on memorization when studying scientific formulas. Understand them by heart and practice applying them to test questions with real-life scenarios. Challenge yourself by answering difficult questions containing graphs and data from scientific research. These often appear in the actual UPCAT. There are relatively fewer questions from Physics than from other scientific subjects but this may vary from year to year. Use critical thinking skills to analyze situations and come up with the best answers. Note: Test questions in Filipino are incorporated in both Language Proficiency and Reading Comprehension subtests). Read professionally written and edited pieces from books, journals, major broadsheets, or magazines. These reading materials are fueled by good writing so immersing in them can sharpen your vocabulary and grammar skills, not to mention help you read faster which is valuable in acing the Reading Comprehension subtest. In contrast, poorly written blogs, tabloids, and similar reading materials may skew your perception of what constitutes good writing. Avoid them like a plague. When writing a message through text, e-mail, or messaging app, don’t use shortcuts. People who are used to spelling words incorrectly to save time tend to dull their abilities to use proper spelling and grammar. Enrich your vocabulary by learning at least one new English word a day. You can discover new words either by reading books or watching TV shows/movies. We also suggest downloading the PDF version of “The 1000 Most Common SAT Words” which features a rich collection of uncommon English words, some of which have appeared in the actual UPCAT questions in the past. 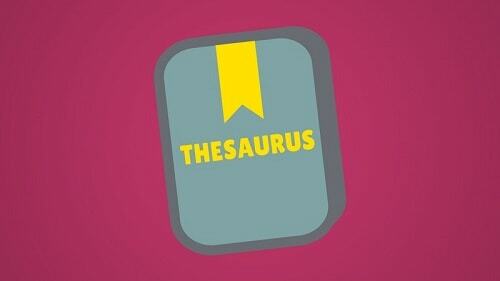 Use a dictionary to find the definition of unfamiliar words. Rather than relying on memorization, try using these new words in your daily writing activities or conversations for better retention. Refrain from watching Tagalized movies and TV shows for now. If you want to improve your English proficiency, the best options would be informative American TV shows that use formal English like those in the Discovery, History Channel, and National Geographic, just to name a few. Play games like Scrabble or Word Factory that can help expand your vocabulary and improve your logical thinking. Know how to guess the meaning of words by looking at their root words, prefixes, or suffixes. For instance, “Philos” is a Greek root word which means “love” so English words that originated from it like philanthropy, philosophy, and hydrophilic all have positive connotations. For the Filipino part, you can improve your vocabulary by reading literary works of Ricky Lee, Lualhati Bautista, and Jose Rizal. 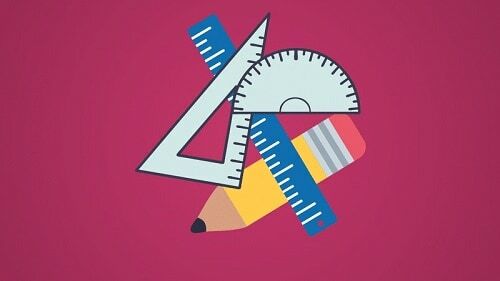 Questions in Filipino may also be included in the Science and Math subtests so familiarize yourself with Filipino translations of shapes, scientific terms, and the likes. Practice communicating in both languages. Whether it’s through speaking or writing, the only way to improve your communication skills is through constant application. Start your own blog/vlog. Volunteer to edit articles on the Internet. Do whatever it takes to improve your language proficiency. It’s one skill that will help you succeed not just in U.P. but in the real world. The UPCAT Reading Comprehension subtest is all about speed reading and quick thinking. Expect to encounter long essays that can easily consume a lot of your time if you’re not careful. Unless you’re a gifted speed reader, it’s impossible to read all the passages/stories within the allocated time of roughly 30 to 40 minutes. So instead of reading them from start to finish, go straight to the question and use the clues you can find to zero in on the answers embedded in the stories/passages. Learn how to read fast while maintaining 100% comprehension. Practice with both English and Filipino reading materials. Master the art of skimming and scanning to understand important information without reading the entire blocks of text. As you can see from the “Coverage” section above, the Reading Comprehension subtest may include questions that will ask you to analyze a wide variety of reading pieces ranging from essays, lines in plays, and poems to articles containing graphs and charts similar to those appearing in the Science subtest. Thank you so much po. 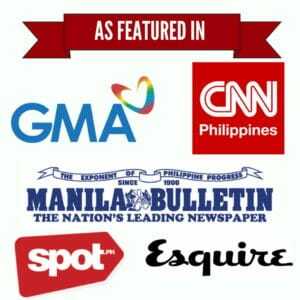 Malaking tulong ito para sa akin at sa classmates ang reviewer na ito para makapasa sa exam. Thank you so so so so much, I’ll be trying my shot at the UPCAT next year and this seems very helpful po! OMG ! next year pa lang ako mag tatake nito , pero nung nakita ko yung site nato ginanahan akong magbasa . pang advance review lang lang . ang saya ! Question po: Kasama po ba yung properties ng Trigonometric Funtions? Yes, but focus only on the basics. Thank you so much po! I’ll be trying my luck on UPCAT 2020 this is a great help. thank you so much. superrrrr helpful!!! You’re welcome. More practice tests and answer keys will be added soon! @Andrew You’re welcome. We’re adding more practice tests soon.